Best Books for Budding Plant Lovers…3 in one review! Now that school is almost out, we want our kids to get outside, but we don’t want them to get lazy and quit reading either. That’s the best thing about plant fiction for kids. They make you want to do both! Now, I think we all want to instill a love of the things we love into our own children. So if you love plants or books or both, and your kids don’t yet, help them learn through stories! Read aloud, read together or start a book club to talk about the books you read and make up some stories of your own. Doing activities that match the new ideas from books is always fun too. Here’s what I think you ought to be reading and doing with your children this summer! I considered doing a full review for each of these books individually, because they’re all so great, but then I thought you might like to have them all in one easy to read place. They’re also bit shorter than the books I usually review (but just as good), so the reviews get to be shorter too. So read all three of them! It was so hard to choose, but I narrowed it down; here are a few of me and my kids’ favorites. 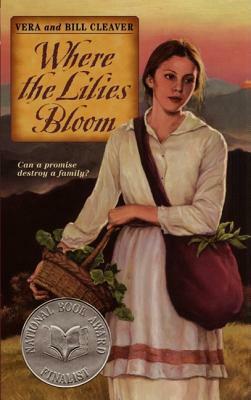 Where the Lilies Bloom by Vera and Bill Cleaver: Mary takes on the heavy task of supporting her family after her father dies. By living off the land and selling local wild-crafted herbs, she thinks she has a pretty good chance of getting by. But as winter comes on, the responsibilities wear on her young shoulders, and she must find another way if they are all to survive. A serious but easy book that would be a great conversation starter for some difficult issues.- Best for 4th grade and up. Activitiy Idea- Go wild-crafting together. Spring is the perfect time of year to gather dandelions, elder flowers or wild mustard! Then make something tasty out of them to share. 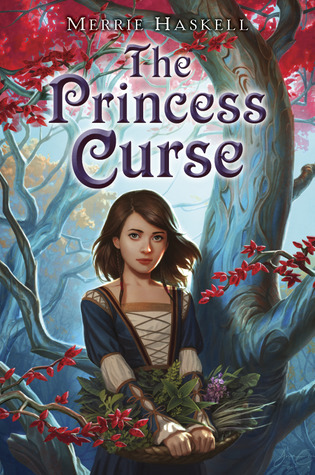 The Princess Curse by Merrie Haskell: This one is a wonderful retelling of the classic fairy-tale, The Twelve Dancing Princesses, with a smattering of Greek mythology thrown in for good measure. It’s told from the perspective of a young herbalist’s apprentice Reveka. One of the things I really appreciated about this book was the historical accuracy with which the herbs and herbalist are portrayed. It has so many of the elements I enjoy in my books, a great respect for plants, adventure, and a new spin on old stories. – Best for 4th grade and up. Activity Idea- One of Reveka’s duties is to make up the bath herbs for the princesses, unlike her nasty smelling cabbage bath, create a nice smelling bath tea with soothing herbs like chamomile or calendula, and take a bath. 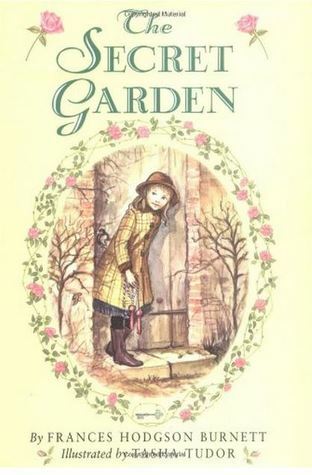 This list wouldn’t be complete without The Secret Garden by Mary Hodgson Burnett. If you haven’t read this classic yet, you are in for a treat! It is a beautiful story about a hidden garden, an orphaned girl, her sickly cousin, and how the three of them save each other in equal measure. -The language can be a bit difficult in this one for younger children, but is great as a read-a-loud for 1st through 4th graders. If reading independently I would recommend it for 5th grade and up. Activity Idea- Start your own secret garden. Hidden spaces beside the house, in a back alley way or a neglected corner of the back yard work well. Be sure to use plants that like the environment you’ve chosen. Violets are great for shady hidden areas. What passions do you love to share with your kids, and how do you do it? Need more tips on getting your child to love reading? Check out this post I wrote for the public library. Ooh, The Secret Garden is still one of my favorites!